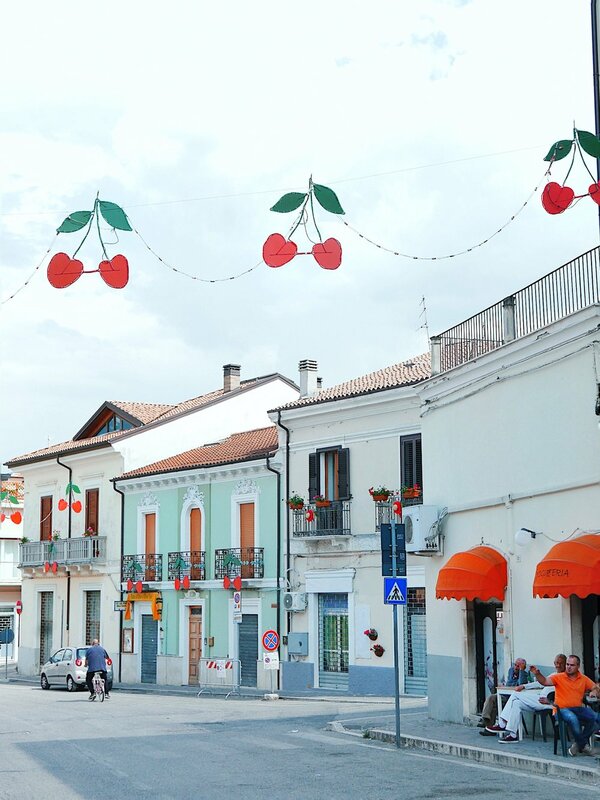 Now, who knows or has visited Abruzzo? For those who haven´t, Abruzzo is this beautiful region in Southern Italy, not far from Rome. It is also known as one of the greenest regions in Europe because it has 3 national parks, 1 regional park and 38 protected nature reserves. I won´t write more numbers here, cuz i´m not a number person, so i´ll tell you a little bit about the places we saw. We sleeped in Pescara. The city is lovely, what i loved most was the evenings, all full of people on the streets, very similar to when i lived in Spain. They also have a large beach. 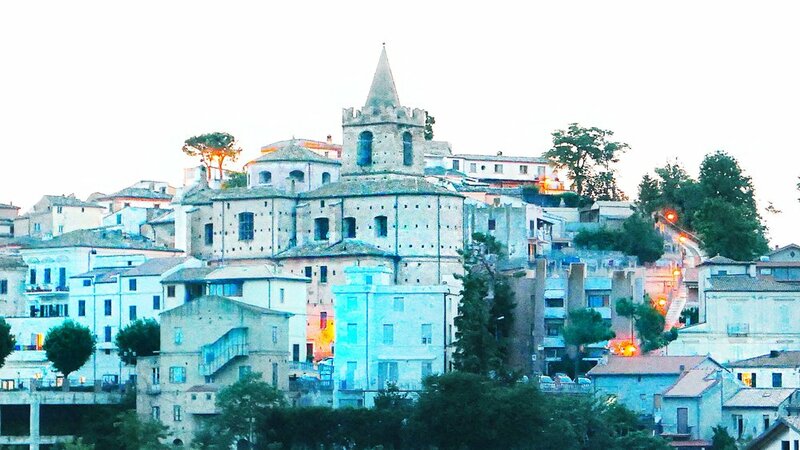 Is a charming little town not far from Pescara. They were having a local festivity, everyone was involved, they had music, kids singing and good food, oh, the food. We all ate together in the main square. Is the home of the confetti, traditional sweets made of sugar coated almonds. They are traditionally given to friends on weddings or to friends on special occasions. It is also the home of the famous poet Ovidius. 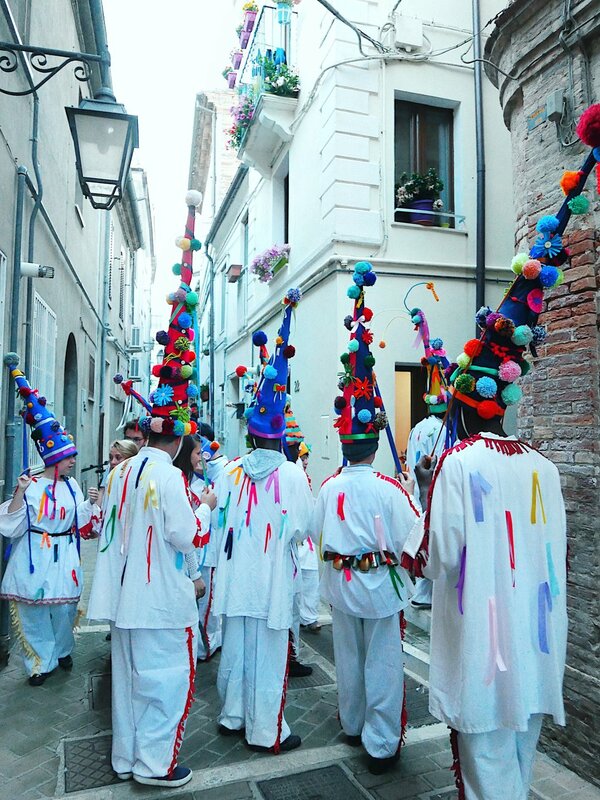 The locals in Raiano were celebrating the Maggiolata, the cherry festivity!!! Imagine that!! Me at at a cherry festival!!! Happy kid! We also visited the San Venanzio Ermitage in the Riserva Gole San Venanzio, so much green everywhere. 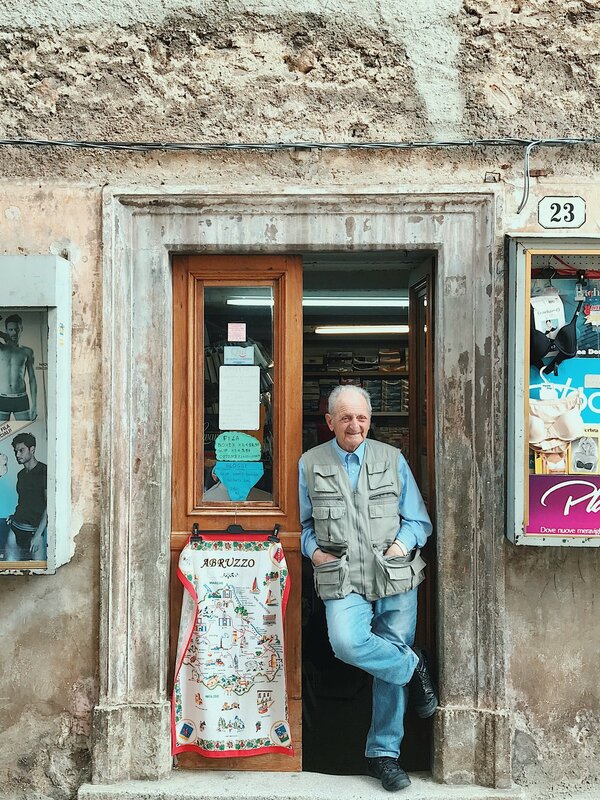 Maybe one of the most famous places in Abruzzo and also one of our favorites. We met the major, his friends, the local jewellery designer, the local cheese maker, we had dinner together and ate the best cheese ever, or course! ;) I always say i love Italians and i really do. If you get their humour, you´d totally understand me! I especially loved how passionate the locals were about their town, their people, the local industry and the beautiful surroundings. Our evening ended at a concert in memory of Henry Mancini, the composer of the Pink Panther theme, whose father was born in Scanno. This was our last stop from the our Abruzzo tour. We went there for their Cala Lenta food street festival and also for the Trabocco, which used to be typical fishermen houses by the see and now are used also for tourists, as restaurants in summer. We watched the sunset and flew the drone. My favorite parts: the food (daaah!! ), the people (but i guess i already told you that) A special thanks to Open Day Abruzzo for organizing everything for us and to all the guides that showed us around, watched us taking pictures (and oh, that can take a while, you know? ;) and talked with passion about their cities and villages.